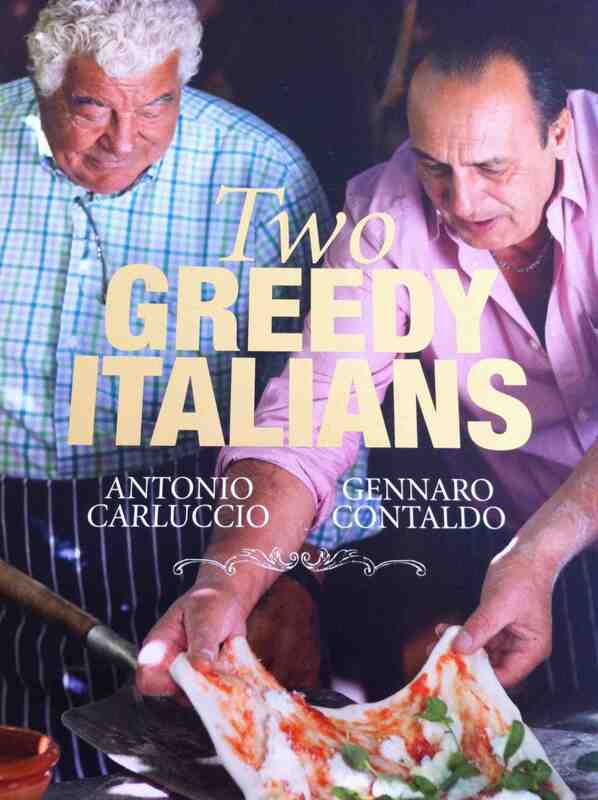 One of my favourite gifts this Christmas was the Two Greedy Italians cookbook and DVD. This quirky BBC series follows two British Italian chefs: the so called “Godfather of Italian food” Antonio Carluccio and Jamie Oliver’s mentor Gennaro Contaldo. Both have lived in London for over 40 years. The Two Greedy Italians return to Italy and travel the country revisiting their culture, its traditions and of course its incredible food. Each episode is dedicated to a particular region. They cook “camp style” on the show. Setting up a chair by a fireplace, or a camp stove and table in a field or garden and roughly throwing together a series of delicious meals. I decided to try their Lamb with Peas as featured in the episode dedicated to Puglia. This southern region is known as the heel of Italy’s boot. 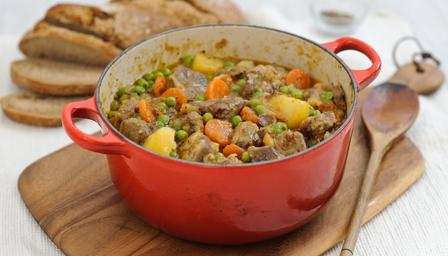 This delicious dish is made in one pot. I used my cast iron casserole on the stove top. Season diced lamb with salt and pepper. Heat olive oil on a medium heat. Fry diced onion, celery and carrot until soft. Add a small tin of anchovies, crushed garlic, some thyme, a chopped red chilli and stir until the anchovies are almost dissolved. Then add the diced lamb and cook until brown. Stir through some white wine. When the liquid has reduced add white wine vinegar. If it seems a bit dry add a little water. Reduce the heat, put on the lid and cook for 20 minutes. 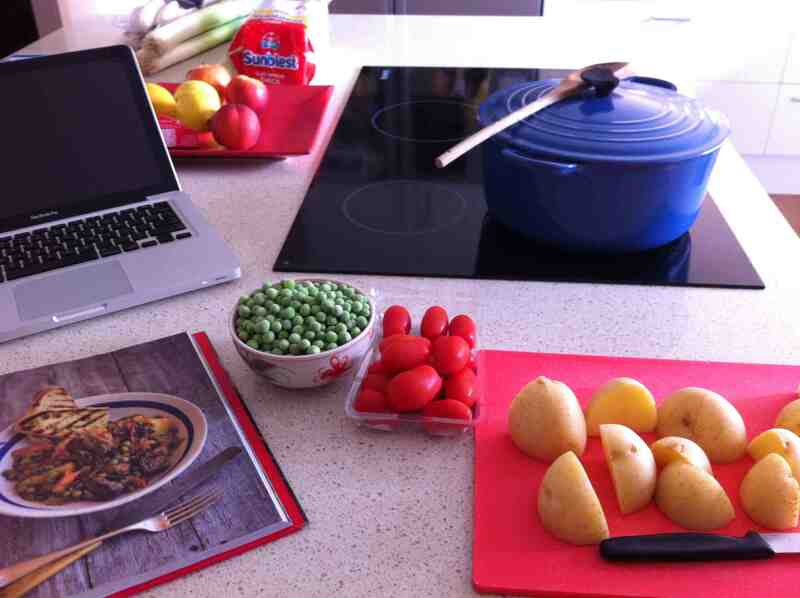 Then add chopped potatoes, halved cherry tomatoes and the peas. Continue to cook slowly for another hour or so. Serve with crusty bread to mop up the delicious sauce. There is a lovely sweet and sour flavour to this dish. The slow cooked lamb is melt in your mouth tender and the onions and other vegetables are soft and delicious. Thanks to my dear friend K for this lovely gift. The recipe is available from the Two Greedy Italians website by clicking here. ← Welcome to a New Year. First stop: Sydney.